The innovative combination of bio-degradable materials manufactured and packaged in British Columbia were specifically engineered for the cleaning, disinfecting and regeneration of potable water wells, delivery systems, and storage containers. 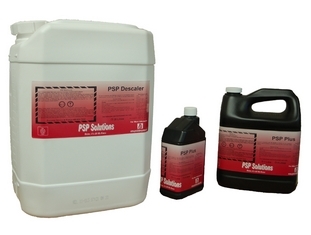 PSP Descaler and PSP Plus has proven to be very effective in cleaning surfaces predisposed to heavy iron or manganese deposits, bacterial slime and other types of micro-organisms found in potable water systems. Used along with a pitless adapter to help cover the top of the well. Available in cast aluminum alloy. Will not crack or warp. Seals off the top of the well from the environment on top and allows for drop pipe and wires to go through. Available in steel, PVC, or aluminum. Allows the drop pipe to leave the casing at a point below the freeze level. Also available in weld-on and column units.